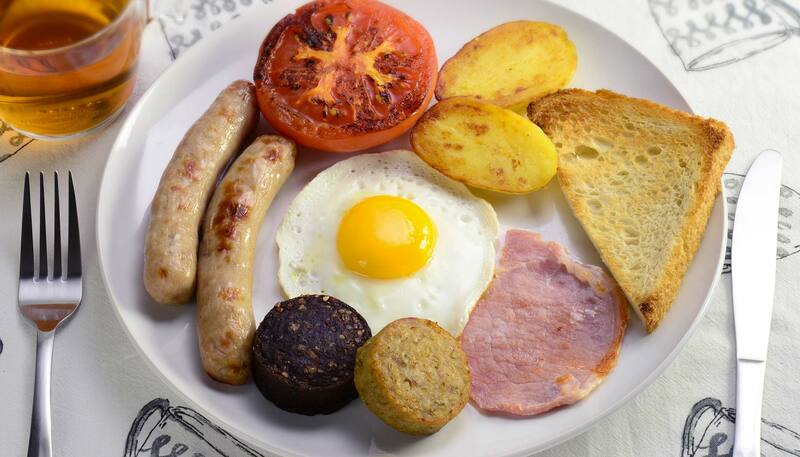 Enjoy a traditional grand Irish breakfast with bacon, sausages, puddings, eggs, grilled tomatoes, grilled potatoes and toast. 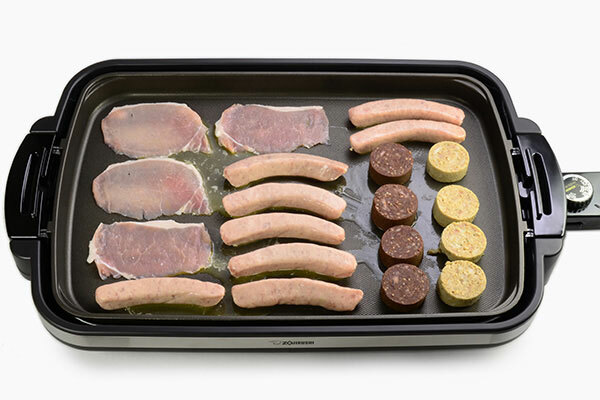 With Zojirushi Gourmet Sizzler® Electric Griddle, making 4 servings is quick and easy. If some ingredients are hard to find at nearby stores, you can most likely find them at major online grocery stores. 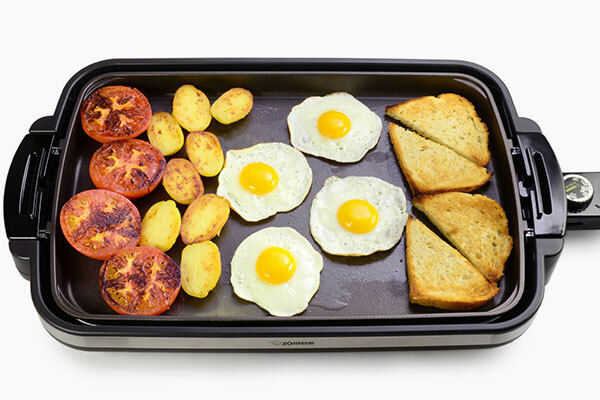 *This recipe was developed for the Gourmet Sizzler® Electric Griddle (EA-DCC10). Adjustments may be necessary when using other models. 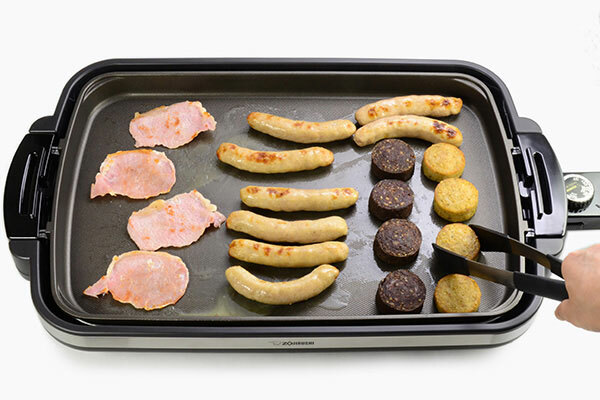 Turn the Gourmet Sizzler® Electric Griddle (EA-DCC10) control knob to 300ºF. When the pilot lamp turns off, melt Irish butter. 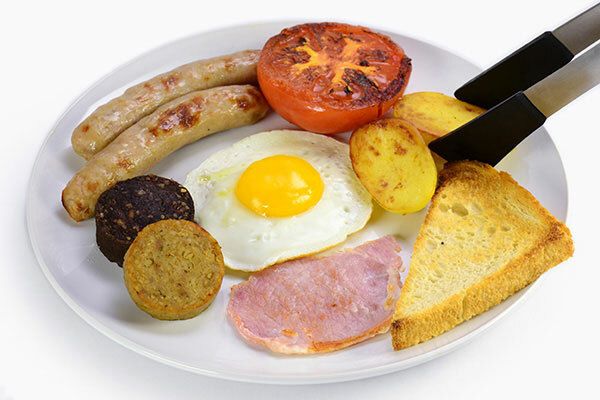 Place Irish bacon, sausages, black pudding and white pudding onto the griddle. Cook Irish bacon for about 2 minutes each side. 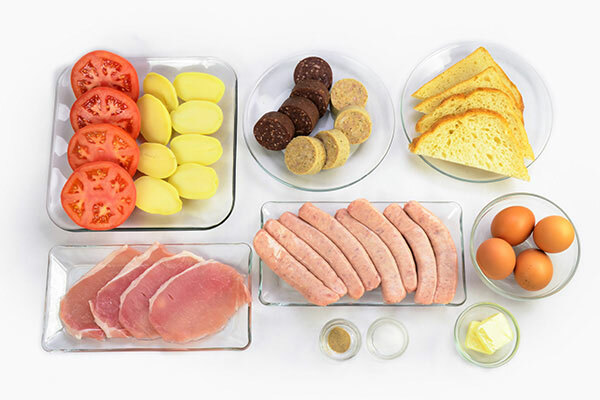 Cook sausages, black pudding and white pudding for about 3 minutes each side. Make sure all meats are well browned, but be careful not to overcook. 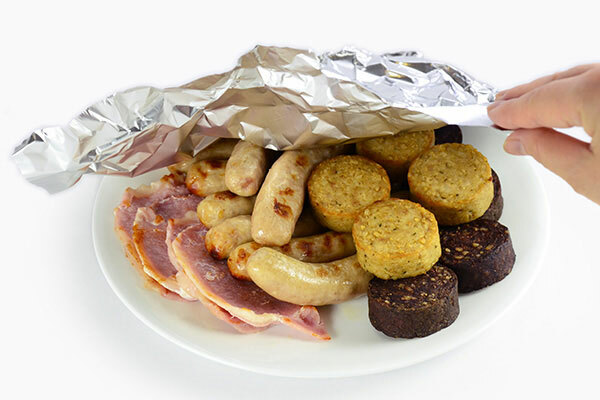 Transfer all cooked meats to a plate and cover with aluminum foil to keep warm. 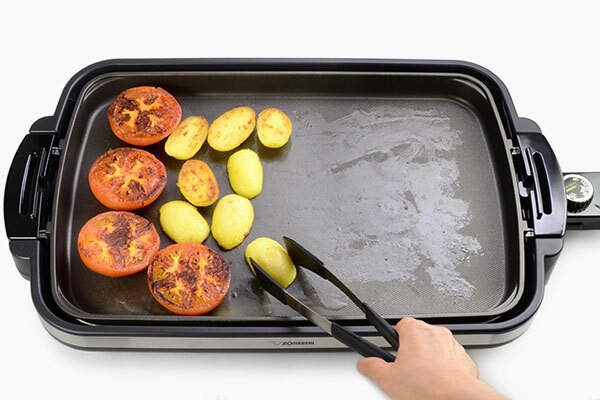 Place tomatoes and potatoes on one side of the griddle. Sprinkle salt and white pepper and cook both until golden brown on both sides. 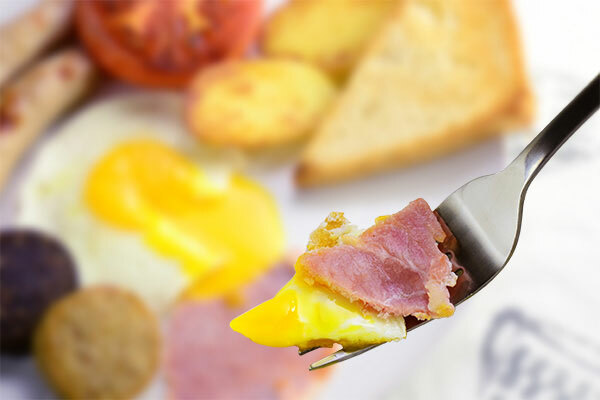 On the empty side of the griddle, fry eggs and toast bread. Arrange all foods onto serving plates.